As you can see, I was very interested in Art History. I loved (and still love) looking at art, and I think you can learn so much from artists through the ages. 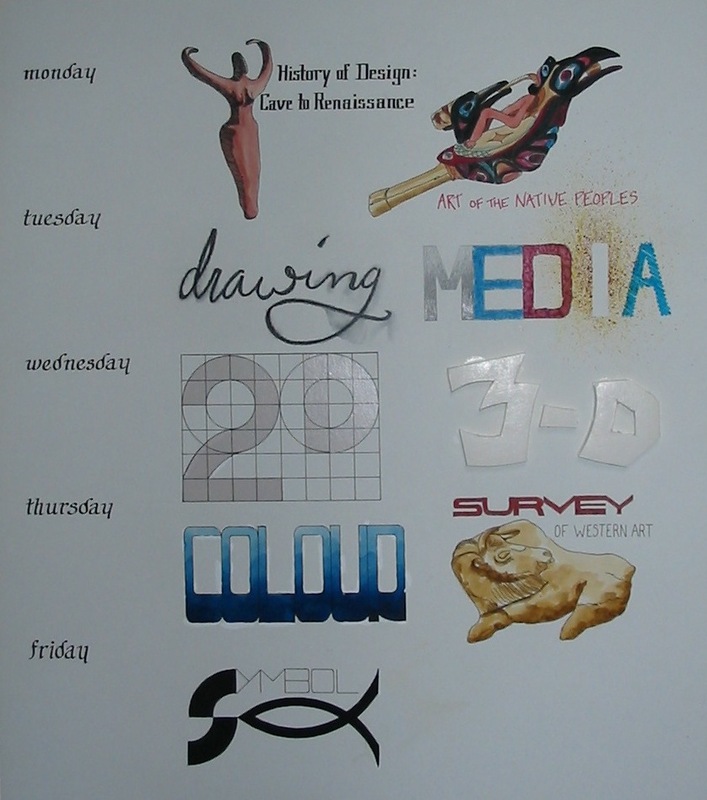 One of the subjects you can see at the top of my timetable is Art of the Native Peoples. The raven rattle I chose to illustrate that subject was made by the Haida tribe of western Canada. I loved the bold outlines and strong colours used by that particular tribe. You can learn more about Haida art at the Canadian Museum of Civilization website here. In 3-D design we used a special material called “foam-core” board to make three-dimensional structures and sculptures. If you look closely you can see I cut out a 3 and a D from foam-core and stuck them on my poster. 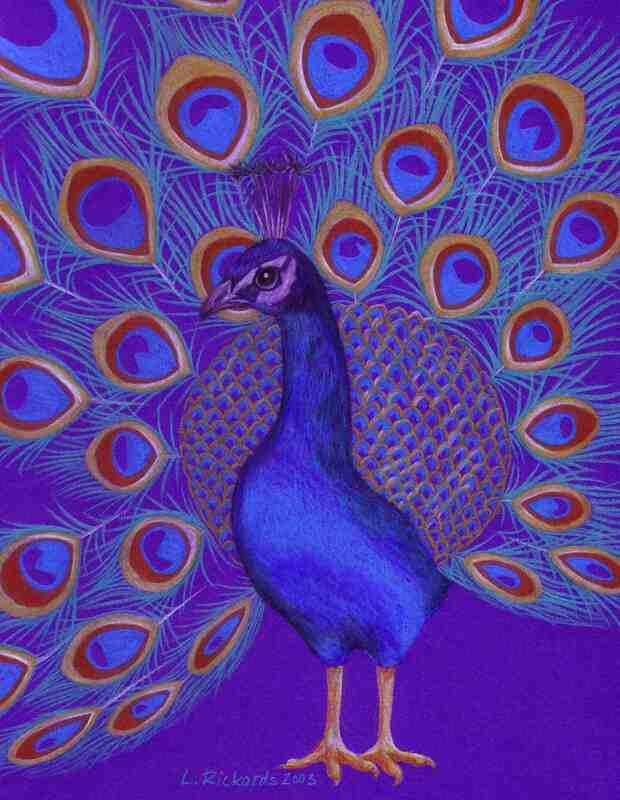 Another important subject at art college was Colour. 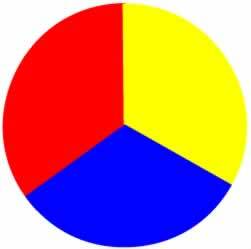 I thought I knew about the primary colours but I was completely wrong! It took me quite a while to accept that primary red was actually magenta (a deep pink colour) and primary blue was more like turquoise. It was only when I started mixing colours that I realised how much yellow there is in fire-engine red. These are what I thought were primary colours. The colours in the circles are true primary colours. In Colour class we had to fill an enormous scrap book with strips of painted paper to show the many hues between each primary colour. It took ages painting from pure yellow through to red, then red to blue, then blue to yellow again, but it was a great way to understand exactly how every colour is made. We also had to paint a grey scale, going from white to black with every shade in between. 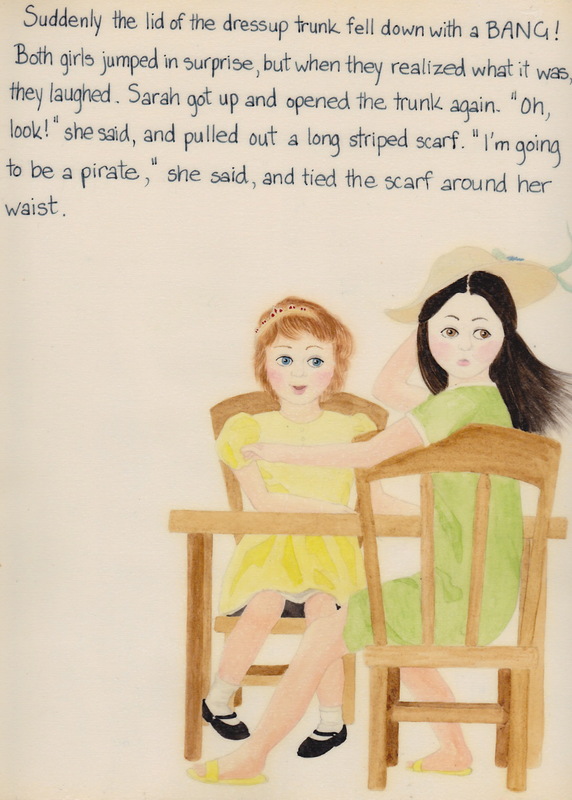 It was a very valuable experience, but I soon realised I was much happier writing the words than drawing the pictures. When I grew up I became a writer, and I love imagining how my stories will look without having to do it myself! I still draw and paint for my own pleasure, and sometimes I do drawings for friends. I have recently discovered drawing with coloured pencils on coloured paper (which is not so hard as using paint!) I used to love watercolours but now I’m a bit nervous that I’ll ruin a nice drawing, so pencils are my way of cheating a bit. 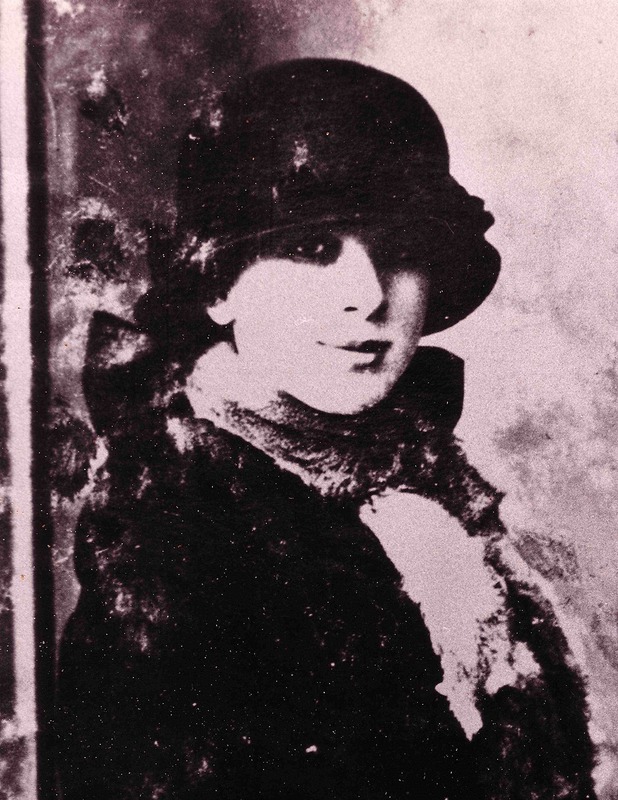 My friend's Granny looked very pretty in the 1920s. 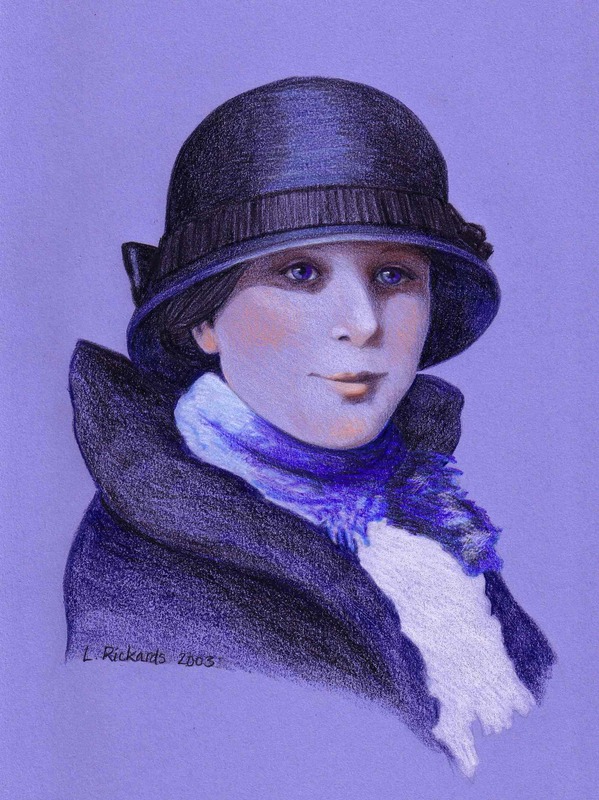 This is the photo I used for her portrait. 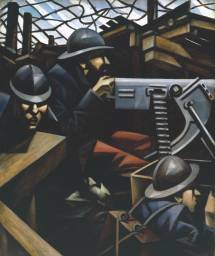 One of the paintings that really caught our attention was “La Mitrailleuse” (The Machine Gun) by Christopher Richard Wynne Nevinson. It was painted in 1915 and shows soldiers in the trenches during World War I. The painter himself worked as an ambulance driver, and he found dealing with all the wounded soldiers very distressing. This painting is done in a Futurist style, with everything reduced to flat surfaces and straight lines. Look how D.B. Johnson uses the same straight lines to divide up the picture and create flat planes that seem to be seen from different angles. We love D.B. Johnson’s books (you can see Henry Hikes to Fitchburg in an earlier post) so I thought I would do some more research into this style of painting. 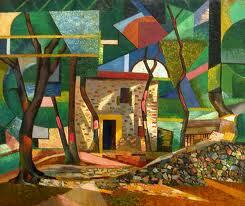 I found this lovely landscape by Auguste Herbin, which was painted in 1913, the year before World War I began. It can be found in the Musée d’Art Moderne de la Ville de Paris. This painting chops up the scene into sections to create an impression of flat surfaces like shafts of sunlight. 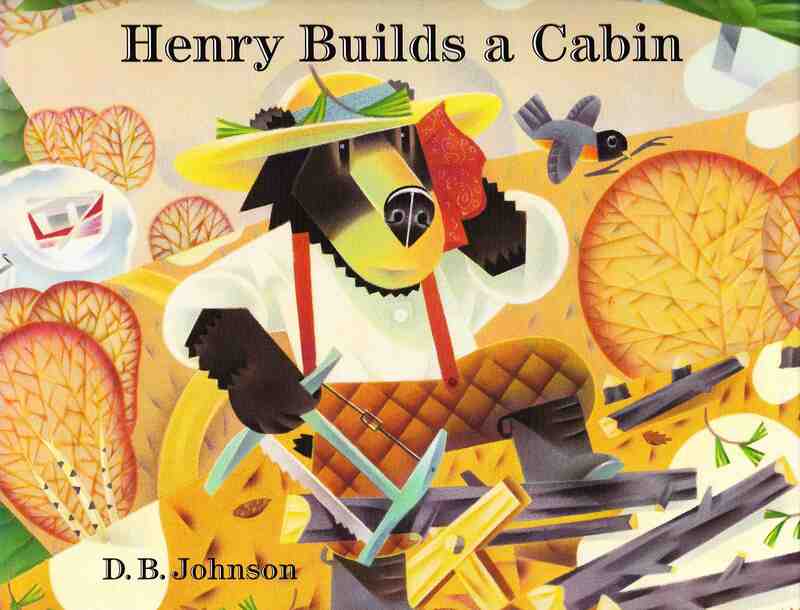 It’s a good example to compare with Henry Builds a Cabin because the artist uses very similar colours. 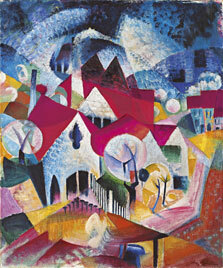 Here is another example by Johannes Itten, a Swiss artist who was painting around the same time. His “Group of Houses in Spring” was painted in 1916, and you can learn all about the artist and his work on the Museo Thyssen-Bornemisza website. All of these wartime artists were painting at a time when the world was changing very rapidly. Europe was caught up in a terrible war, and big machines that could work faster and longer than people could were taking over many jobs. Photography, which came into common use around 1900, meant that artists were no longer needed to create realistic pictures of things. They had to think imaginatively to make their paintings different from what a camera could do. Artists at this time wanted to express their feelings about the changing world in a way that would grab people’s attention. Instead of painting in a realistic way, they tried to show movement, speed, and the way everything had become mechanical and robotic. Different artists influenced each other, so Pablo Picasso and Georges Braque started the Cubist style, and a group of Italian artists developed something similar which they called Futurism. When I was younger I wanted to be an artist myself, so I have spent many happy hours looking at other people’s paintings. Visiting an art gallery is the best way to start, and like D.B. Johnson, maybe you will be inspired by something amazing! When I visit schools and book festivals, the children often ask me where I get my story ideas. I usually say my own children inspire me, and sometimes it’s a special toy that will spark an idea. 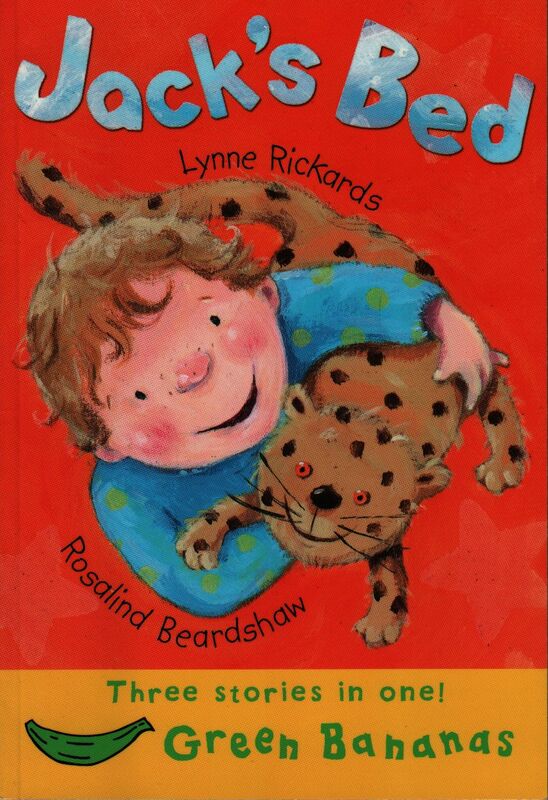 One of my earliest books, Jack’s Bed, was inspired by my son when he was about four. He often used to wake up in the night and come clambering into our bed for warmth and comfort. We decided a nice cuddly hot water bottle might help him to feel safe in his own bed so he could sleep through the night. 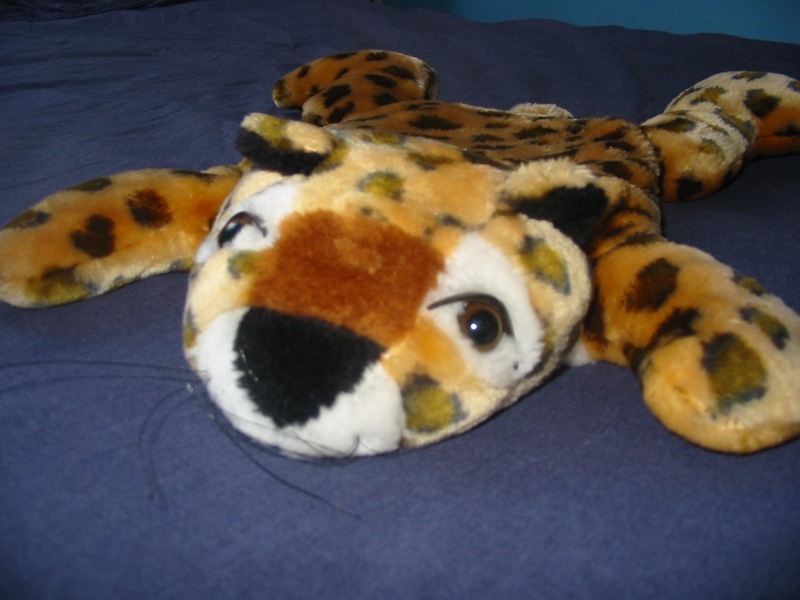 So we bought him this leopard with shiny amber eyes and wiry black whiskers. It was a big success, and that is what Jack’s Bed is all about. Sometimes the soft toy comes after the book. If I want to have a special toy to use in schools and nurseries when I’m reading my books, I will buy something that looks like one of my characters. 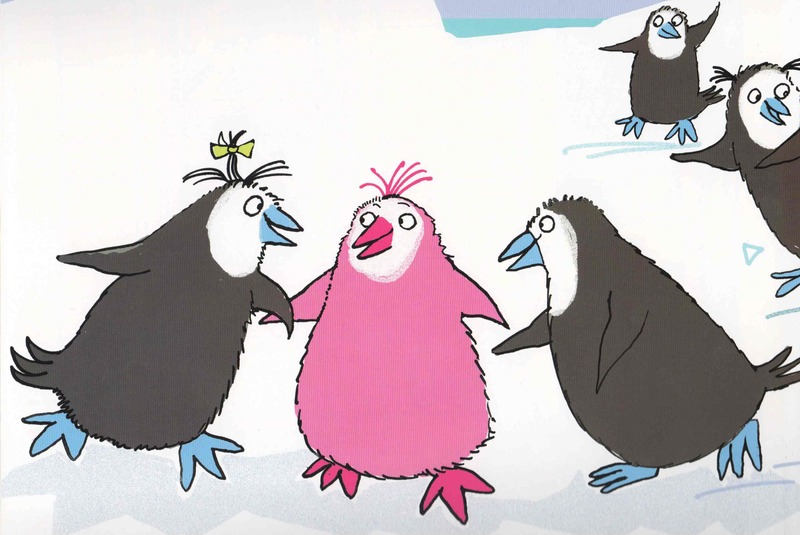 In the case of Patrick the pink penguin, I made him a tiny blue backpack and sewed pink fuzz on his head. 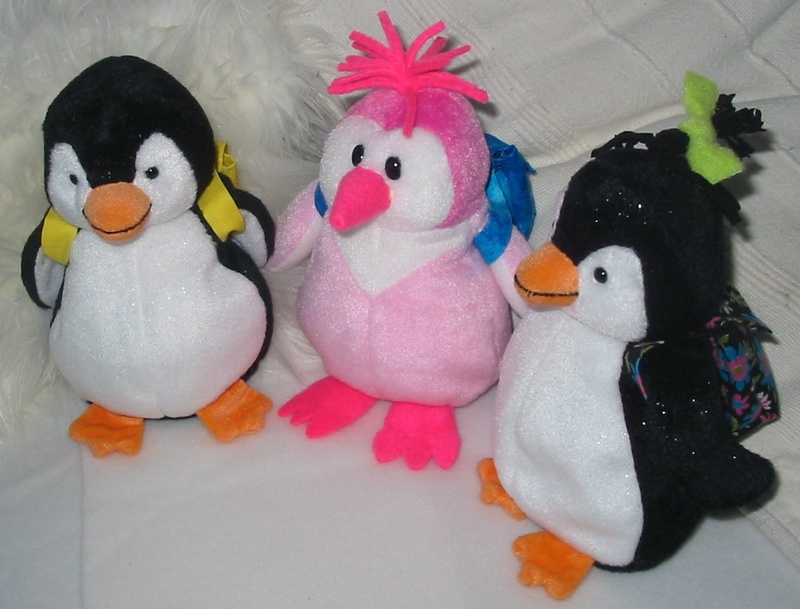 Then I decided he needed some friends, so I got two black-and-white penguins (Arthur and Lulu) and made little backpacks for them too! You can see Lulu is the one with a yellow bow in her hair and a flowery backpack. 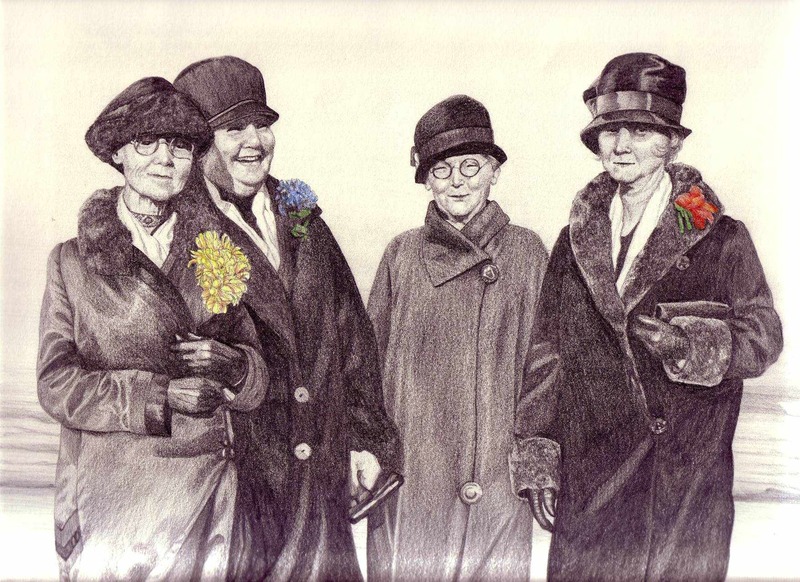 Here is a picture that Margaret Chamberlain did of the three friends. Can you see which one is Lulu? Children love it when I bring Patrick and his two best friends to read Pink! My newest book has some more black-and-white birds called puffins. 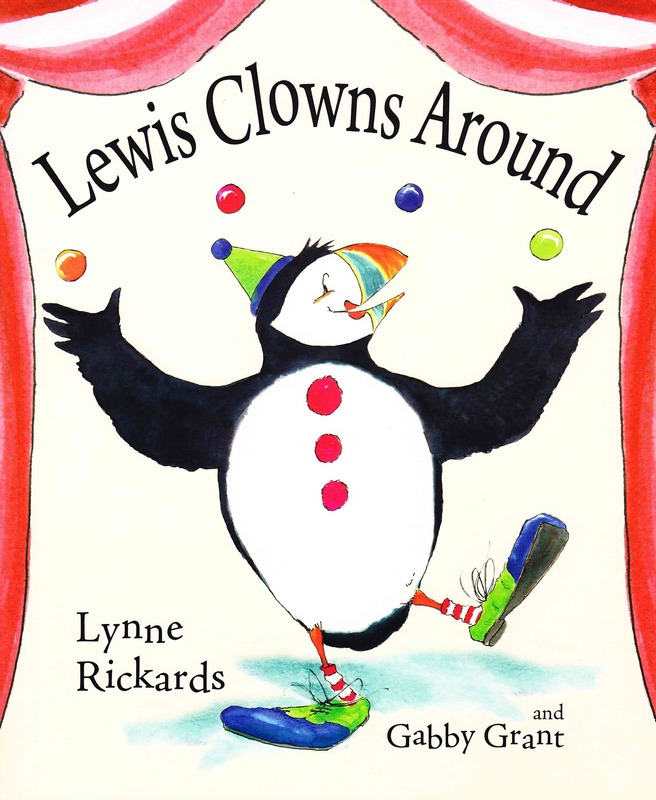 Lewis Clowns Around is a story about a puffin who wants more than anything to be a circus clown. 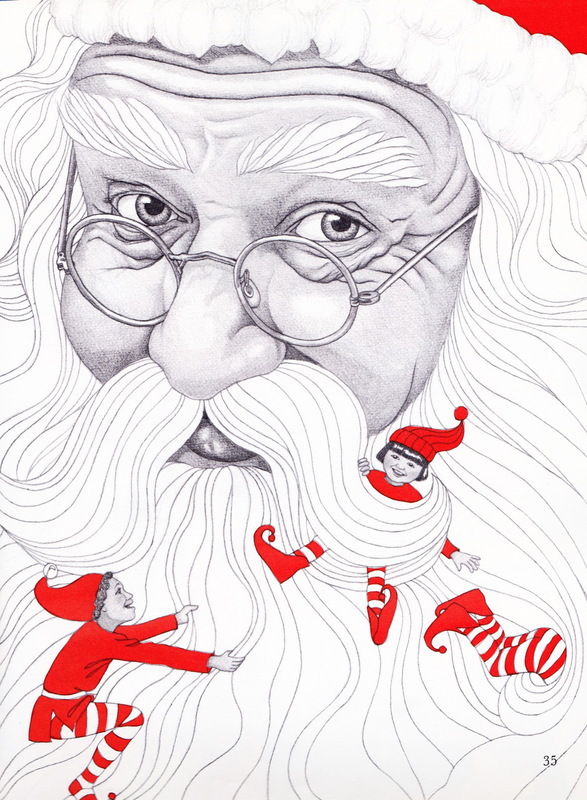 He gets his wish of course, but his circus life doesn’t always go smoothly. 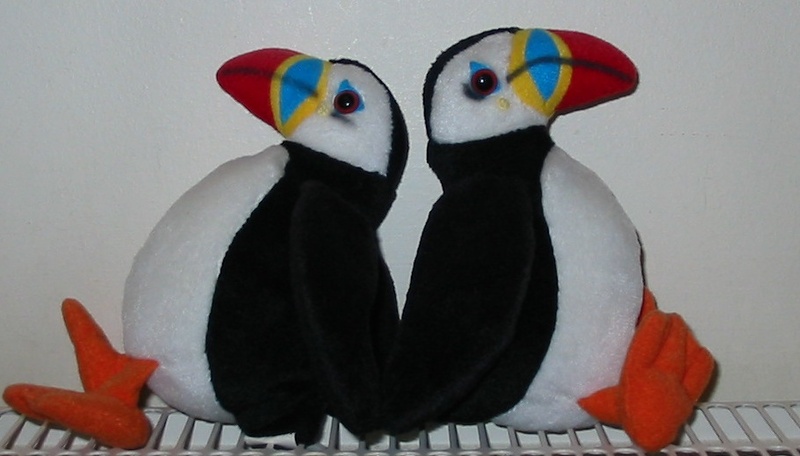 I couldn’t resist these two little puffins who look just like Lewis and his brother Harris. They sit on my desk and help to give me more story ideas!